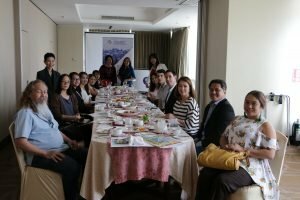 Several members of the Israel Chamber of Commerce of the Philippines’ travel and tourism industry gathered for an intimate breakfast meeting with Hassan Madah, Director of Israel National Tourism Office In India and Philippines of the Israel Ministry of Tourism last February 12, 2018 at the Tower Club Makati City. The meeting discussed industry updates and opportunities in the tourism sector. Madah encourages the travel agents present to give their clients other reasons for a second visit to the Holyland. Agro and medical tourism among other reasons, with Israel leading the innovations in these sectors. 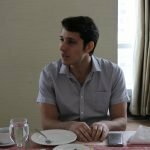 Data from Israel’s Ministry of Tourism showed that around 23,500 Filipinos traveled to Israel in 2017, a 61 percent increase from 14,600 in 2016, surpassing its 20,000 target.